Waltons is the nation's longest-running garden building retailer. We've been designing and manufacturing affordable and great quality sheds, log cabins, summerhouses and playhouses since our brand was established in 1878. We're dedicated to providing our customers a great service and ensuring that our buildings are of the best possible quality. 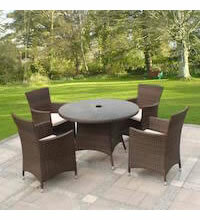 Looking to add more space to your garden? 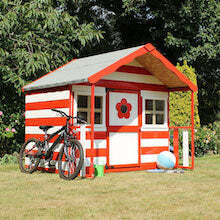 We offer a wide array of garden buildings from traditional garden sheds to modern garden rooms. Discover your perfect space today, whether it's for storage, an extra room for hobbies, entertaining, or a space for your children to play. 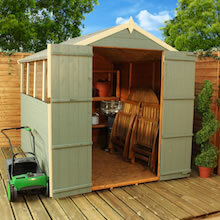 Protect your garden furniture, BBQ and tools from the elements all year round with a garden shed from Waltons. 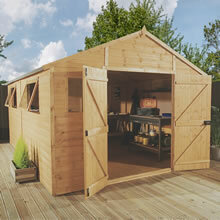 Our traditional wooden sheds are constructed from quality, FSC-approved timber. Secure and sturdy, our low-maintenance, rust-resistant metal sheds are ideal for storing bikes and other valuables. 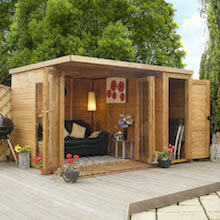 Create your own outdoor retreat with one of Waltons' high-quality, affordable wooden summerhouses. Relax and spend time enjoying the garden in a traditional summerhouse, or create a focal point with a contemporary summerhouse from our affordable and high-quality range. 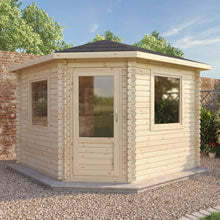 Our clever corner summerhouses are ideal for smaller spaces. Waltons log cabins are ideal for home offices, craft rooms, yoga studios and more. A log studio will let your creative side flourish, while a home office cabin is perfect for those wanting to be their own boss. All our log cabins are constructed from Baltic pine, and are supplied with toughened glass windows. Give your kids their own space to play with one of the wooden playhouses from our brilliant selection of EN71 safety-approved playhouses. Our playhouses have smooth, rounded timbers, shatterproof windows, and finger gaps around the doors. Waltons tower playhouses feature safe ladders and gripped steps, and are designed to keep your children entertained for hours. 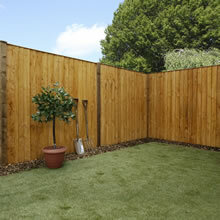 Spruce up your garden with new fence panels from our huge range of garden fencing. With free delivery to most locations in the UK and a 10 year anti-rot guarantee, our traditional fence panels are a popular choice. Waltons offers a wide selection of decorative fencing sizes and styles to help you transform your outdoor space. Keep your vehicles safe and secure in an affordable, high-quality building from our fantastic range of wooden garages. Our large garden workshops also offer ideal space for your favourite hobby or crafts. Getting a new practical storage space or dream garden workshop is easy with free delivery to most areas of the UK, a 10 year anti-rot guarantee, and support from our expert team. 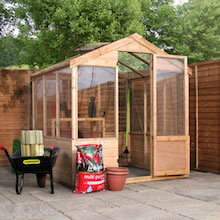 Grow your favourite plants, flowers and vegetables all year round in a greenhouse from our huge inventory. Wooden greenhouses make a great addition to any garden with their ease of installation, opening windows and free delivery to most areas of the UK. Our wide range of polycarbonate greenhouses are ideal for novice and experienced gardeners alike, and are available with a variety of framing and glazing types. Waltons caters to all your outdoor needs. Whether you need a barbecue, raised bed or polytunnel, you'll find everything to kit out your garden space here. We have topiary trees, chimes, lights, furniture, and planters to make your outdoor living the best it can be.